Because LEHA represents the experiences and interests of individuals and organizations involved with the assessment and remediation of lead-based paint hazards, it is recognized as a spokesperson for the industry. Each new member enhances this position by adding to the organization’s influence in the lead-based paint field. Through the Membership Directory on the LEHA web site and through participation in LEHA committees, a technical assistance network and conference programs, LEHA members receive recognition for their membership support and their involvement in the lead-based paint field. As with any emerging industry, professional recognition is a valuable asset. Each LEHA member receives access to the members only section of the LEHAOnline.org website. This members only area includes regular coverage of lead-based paint issues, new technologies, operating procedures, government regulations and programs, industry news, forum discussion, and more. You want to do business with people who you know to be knowledgeable, conscientious and competent. LEHA’s chapters, committees and conferences bring you the opportunity to network with dedicated professionals, share experiences and explore work related interests. Your LEHA membership provides you with the opportunity to become directly involved in deliberations over issues critical to the future of the lead-based paint field to express you opinions and share your insights and experiences. For example, LEHA has taken the initiative to develop an “Action Plan for the Lead-Based Paint Industry”. The issues and recommendations for action addressed in the Plan come from the membership. The Plan is a document that fuels a process requiring the participation of industry practitioners, persons like yourself who face the day-to-day problems and opportunities found in doing lead-based paint hazard assessment, abatement and lead poisoning prevention work. 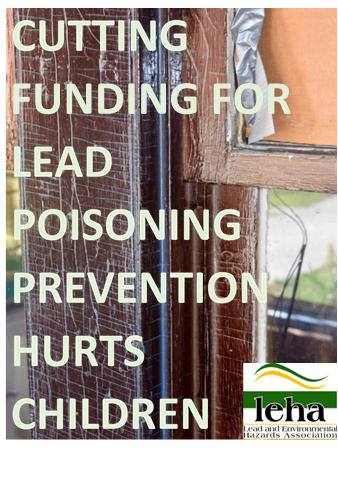 Your $150 LEHA membership is a simple yet very important step for you to take in helping to eliminate lead paint hazards from our environment.